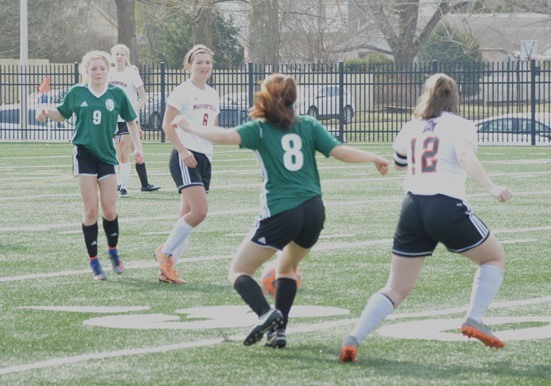 URBANA, Ill. – The Marshfield girls soccer team opened its 2019 season with its annual trip to Urbana, Ill., and went 1-2 in the two-day tournament. Marshfield lost to eventual tournament champion Geneseo (Ill.) 4-0, defeated Elgin St. Edward (Ill.) 6-0, and lost Mahomet-Seymour (Ill.) 2-0. In the opener, Marshfield was outshot 20-2 as it was shut out. Mikayla Brueggen and Clara Allar each had five saves in goal for the Tigers. Nina Hashimoto had a hat trick, Kate Schilling scored twice, and Sophia Gruenling had her first varsity goal in the Tigers’ win over St. Edward. Courtney Meyer, Paige Gruenling and Schilling had assists, Allar had four saves, and Brueggen three saves for Marshfield. Brueggen had nine saves in the loss to Mahomet-Seymour. “It was an invaluable experience to play some very quality teams from Illinois,” Lindner said. “We had players step up, and others who were steady and ready to continue the process as the season goes along. We know the potential is here, the players are buying into this and now need to all believe in their abilities as all players will be needed thru the year as evident this weekend. Marshfield plays at Stevens Point on Tuesday before opening its home schedule Thursday against Wisconsin Rapids at Griese Park.